London Underground has embarked on a major security upgrade at its London maintenance depots. The facilities available at the busy sites include general maintenance, train-cleaning and driver rest areas. A large number of employees, suppliers and other visitors pass through LU’s various depots on a daily basis. Working alongside Honeywell Security, Castel has supplied an IP intercom solution that will help protect the sites from the theft of high-value plant and equipment and the ever-increasing problem of metal and cable theft. The previous intercom system was made up of numerous disparate technologies and obsolete equipment and would have been too expensive to upgrade or repair. 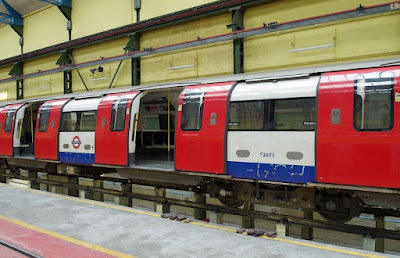 As a result, the decision was taken by Transport for London to invest in a totally new IP intercom system, together with a new Honeywell surveillance and access control system. A dedicated site-wide network was installed for 35 of Castel’s CAP IP PoE (Power over Ethernet) Video Entry Stations, which have been used for the gates, vehicle barriers and turnstiles. All calls are networked back to a single central point locally – either a gatehouse or security control room. However, if a call goes unanswered, the next available operator at another depot will be able to receive and deal with it – another great advantage of using an IP/SIP network solution. This feature helped reassure London Underground that no calls would go unanswered, particularly as round-the-clock access to the sites is critical. Operators using Castel’s Xellip IP Master Stations now have the ability for simultaneous video communication with other colleagues across all sites, thereby enhancing overall security and generally improving working conditions by using the latest technology on the market. Castel’s Xellip Server Max was also used on the project, which allows up to 1,000 SIP extensions and provides plenty of capacity for expansion to the system in the future. The new intercom system will not only prevent unwanted visitors from accessing the sites, some of which cover a very large area and have many entrance and exit points, but it will also safeguard staff working there and give them easier access.